The Golden Temple Dog is one of the famous Temple Dog series of flies that have fantastic movement. This pattern has a holographic gold body that is a great eye catching trigger point. It is a superb autumn fly that works well in coloured and peaty waters. 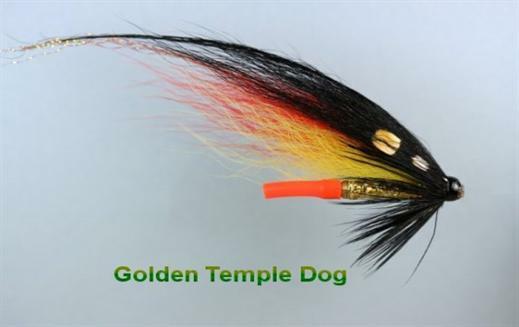 Currently there are no comments about the Golden Temple Dog fly pattern from other fly fishermen yet.